Running into problems setting up the RGB / fans. Seems my 500D RGB SE didn't come with the right cable to connect the lighting node pro with the commander pro. I can't seem to the find any cable that will connect the two... What does it look like? If I can't find it how can I buy a new one? Last edited by eamesj1; 04-04-2019 at 12:13 AM. The cable I can't seem to locate is the LED control cable from your diagram that connects the RGB Fan LED Hub into the Commander Pro. Last edited by Zotty; 04-04-2019 at 03:25 AM. 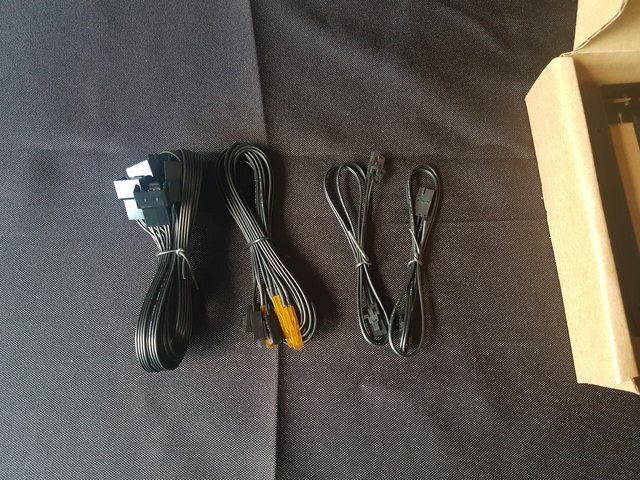 Can you link me a picture of what the cable is supposed to look like so that I can make sure I do not have it before I contact support? I apologize for all of the questions/requests but I am a serious noob. Thank you again for your assistance. Need some advice, I just finished building my PC. I kept the 3 LL120 fans attached to the front of the case. I installed the Corsair H115i RGB Platinum on inside top of the 500D RGB SE. The commander pro and the RGB fan LED hub are still in the stock location (inside front of the PC case. Here is my dilemma, I want to install a LL120 RGB fan on the inside rear of the case. I purchased the fan but the wires are not long enough to reach the commander pro / RGB fan LED hub in there stock location. A search appears there are no extension cables to be purchased to extend the reach. I can only think that I will have to move the commander pro / LED fan hub to a new location that is near the SSD trays. I tried prying the commander pro (it is attached firmly) from its current location but I feel that if I apply to much force I will break it. Extensions are available or you can actually make your own. 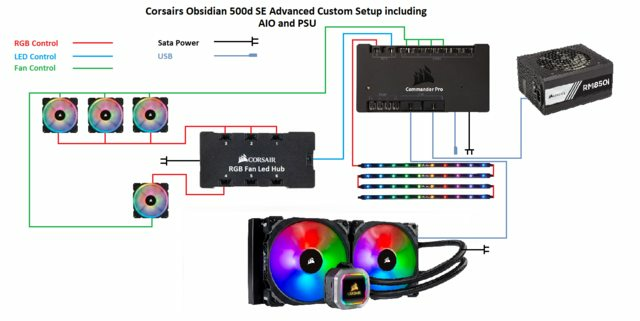 If you want to build your own cables, you can check out http://forum.corsair.com/v3/showthread.php?t=174759. Or if you just want to buy them, you can get them here: https://www.ebay.com/str/piratedogtech. I have seen videos of people changing their postion around the chassis. How do i remove it from there? I dont wanna break it...thanks and sorry for my bad english. Last edited by Wintersun; 04-11-2019 at 01:41 PM. Hi buddy.. Your english is Good.. would seem it's a lot better than mine haha :). as for removing the Commander pro. a guy on reddit used Fishing line under his and pulled through the sticky pad. Never had to remove one my self. Mine were in the same place, bloody silly really. I managed to pry them off gently but firmly and not damage them.